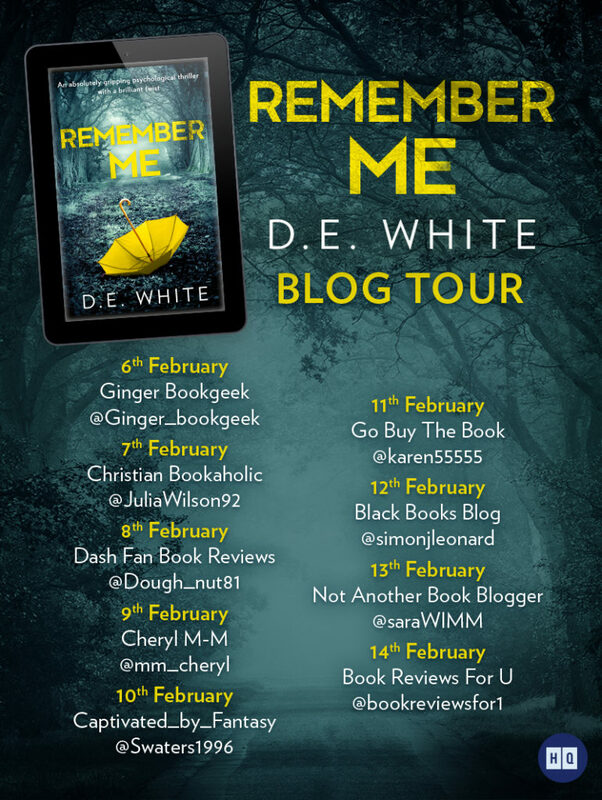 Remember Me by D.E. White is a contemporary psychological thriller that will draw you in from the start and keep you glued until the final page. It is a story of truth and lies. Lies told to cover up truths but can you separate the real from the lie? Friendships are complicated affairs. Some begun in childhood last until adulthood. Some are bound together by lies that spiral out of control. Past crimes link to present day. As the clock starts ticking, can you guess the perpetrator? The voice of the criminal appears regularly throughout the book. Do you know who it is? Snow and bad weather all add to the atmosphere. A landscape altered by snow mirrors confused minds. I really enjoyed Remember Me. 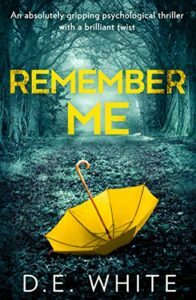 Not only was it gripping with a cleverly constructed plotline but I was as confused as the lead character – just who could be trusted? Even when I ruled characters out, I ruled them back in again! Only when I had exhausted all suspects did the penny finally drop for me! Cleverly done and very chilling.